The villages of Melaque and Barra de Navidad have a long history with the sea. Our favourite guide, Gerarrdo Kosonoy really knows the waters around the area. He'll take you out in his small boat into the open Pacific, where you'll see dolphins, whales, porpoises, sea turtles, sailfish, dorado, and marlin! Recently one of our guests landed a monster marlin, weighing in at well over 200 kilograms (440+ lbs.)!!!. Maybe you'll break the record on your next Mexico visit? Are you an avid fisherman or just want to try your hand at the sport? 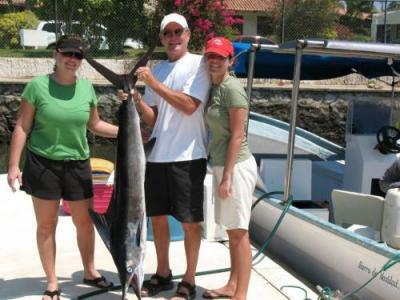 Try fishing for sailfish, marlin and red snappers off the shores of Barra de Navidad, Mexico. Melaque has many charters with expert guides to help you get to the right spot to land that BIG fish you have always wanted. 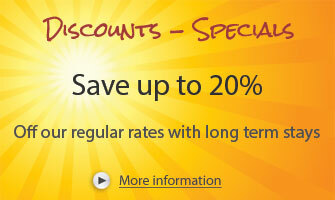 For an all day excursion, just rent the boat and fishing equipment from local Mexican guides or fisherman. The seas of Mexico are rich with sea life and especially the Costalegra with dolphins, grey whales, turtles, tropical and sport fish. The largest fishing tournament is held on the grounds of the Grand Bay Hotel across from Barra De Navidad the third week of January annually. 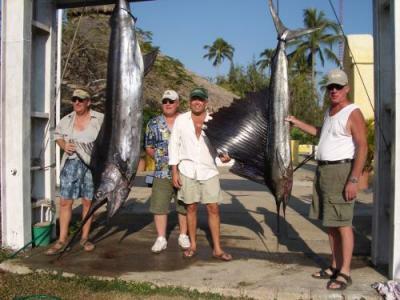 Manzanillo hosts the other international tournament and it is normally the first week of November, eligible fish for prizes are: Sailfish, marlin, gold fish, tuna fish, wahoo and roosterfish. Whale watching from a boat or the shore can be the experience of a lifetime! Set out on a panga (boat) with one of our Mexican fishermen as a guide to watch the beautiful and majestic grey whales jump and swim in their natural habitat. During the winter months the grey whales come closer to shore, viewable from the beach, or as you see in the adjoining photo, from our third floor condos. When visiting this vacation resort community, you must see the grey whales!